On November 17, 2015 MassDOT announced the lowest bid on a contract (Project No. 608024) that would have converted the state's interstate and US Route freeway's exit numbers to the Geographic Reference or Milepost Exit Numbering system. Liddell Bros., Inc. of Halifax, MA, they were to have been award the contract by December 2015. The project was suspended indefinitely in the spring of 2016. UPDATE 5/18/18: While Massachusetts may not be moving forward on milepost based numbering, Rhode Island and Vermont are. On August 25, 2017 the winning bidder for a contract that will renumber exits on I-295 and RI Route 99 was announced. Guess who? Liddell Bros. of Halifax MA. Unlike in Massachusetts, they did post the new numbers in December 2017, photos are here. 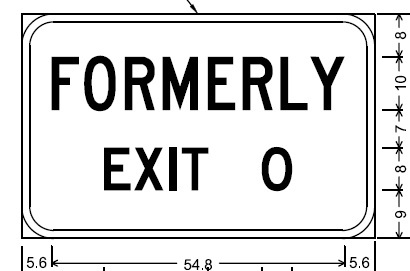 In April 2017, Vermont's State Transportation Improvement Plan was published and included moneys to start a public information campaign in 2018 to alert drivers as to a change in exit numbers. The project itself is due to start in 2020.5 Maybe these moves will get Massachusetts to look at starting their project again. UPDATE 8/6/17: A Massachusetts legislator has filed a bill to make the state adopt milepost exit numbers for its interstates and other expressways according to this report from NPR Radio. MassDOT still says matter is under evaluation (as they have said since 2015). I forwarded information from this website, in case he was unaware of MassDOT's actions over the past couple years, he thanked me for the info. UPDATE 10/5/16: MassDOT appears to have indefinitely postponed the Milepost Exit Numbering project. Work was to start in January 2016 to convert highway exit numbers, first in the western part of the state then working eastward (except for numbers on the Mass. Turnpike/I-90 which will be changed under another contract) with a completion date for the entire project of early 2018. However, it appears the start of work is now on hold indefinitely, with no specific start date announced. This appears to be the results of feedback from politicians and the public after news of the project got out. Officials on Cape Cod were publicly critical of MassDOT's plan (see this article in the Cape Cod Times) and the then State Highway Administrator, Tom Tinlin was quoted in a Worcester Telegram & Gazette article in February saying he had not yet signed off on the project. 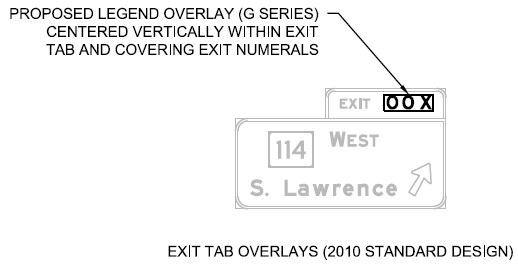 On April 27, 2016 it was reported that the numbers on US 6 would not be changed and that the rest of the project was still being evaluated.2 In a June public meeting, officials said the existing exit numbers would be used, but that the new exit tabs and gore signs would be designed to be able to use larger milepost based numbers some time in the future. Back in April 2016, MassDOT announced the winning bidder for a project to replace exit signs on I-495. 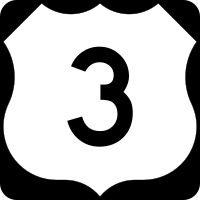 This contract was modified to include a clause whereby the state would inform the contractor whether to use milepost based numbers or keep the sequential numbers for the new signs. Earlier, a MassDOT official quoted in this July 29 Article in the Cape Cod Times says “We continue to evaluate what would be in the best interest of Massachusetts taxpayers and drivers with the federal government’s milepost-based exit numbering initiative,” “Logistically, there are many questions which still need to be answered concerning how Massachusetts would transition to distance-based numbering and what the potential impacts could be on the communities we serve." For more details about the reluctance by MassDOT to start the conversion, see This Blog Post. **Updated 11/26/15 with recommendations on revised exit numbers for certain routes. 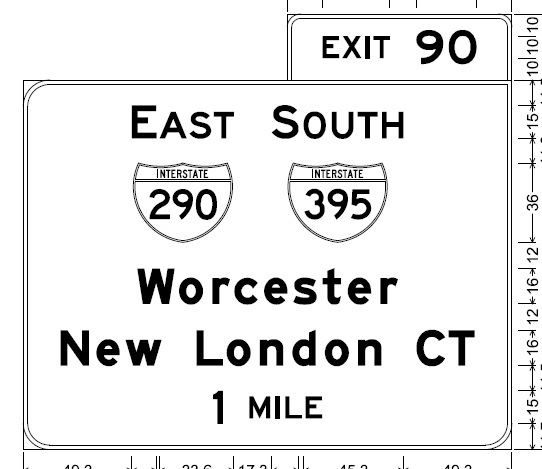 (1)To see more original sign plans with the proposed numbers, for all exits between 1 and 20, Visit the I-90 / Mass Pike Photo Gallery. 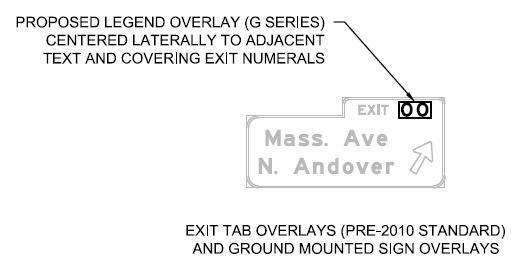 (2) MassDOT has said they will not renumber these exits due to community opposition, at least initially, visit page for more information. (5) Available at http://vtrans.vermont.gov/sites/aot/files/planning/documents/planning/2018STIPFinal.pdf Exit conversion project listed on p. 30.